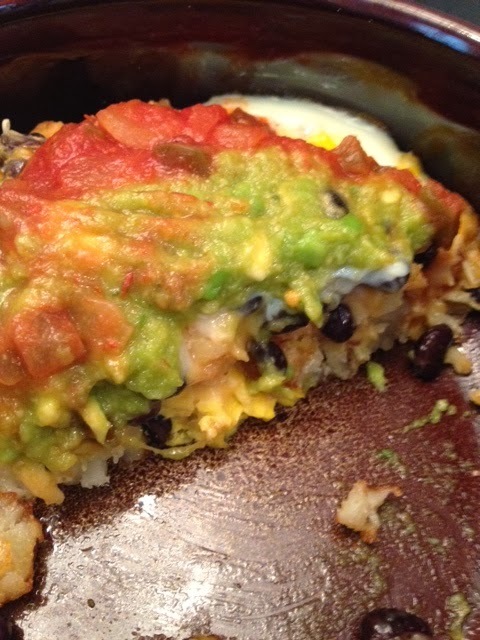 If you're looking for a healthy breakfast, this is not what you're looking for. However, if you're looking for a crowd-pleaser after a night of drinking... In the words of Kaitlin, "This is your jam." 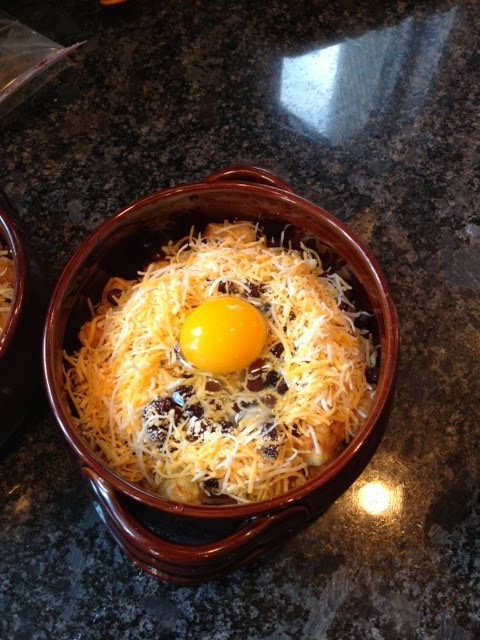 Also: You can certainly make this in a baking dish if you don't have individual baking bowls like I had. Bake tater tots on a baking sheet as per bag's directions. Spray the insides of either baking dish or bowls. 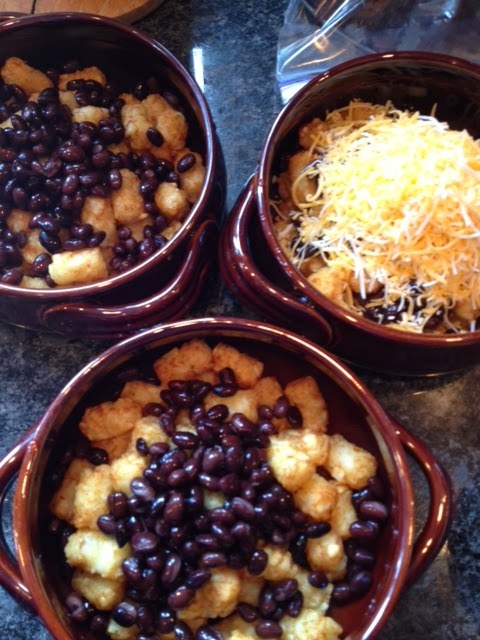 Layer cooked tots, beans, cheese, any other veggies or meat as you prefer. Then create a little nest for your egg. Also, if you prefer you can beat an egg and pour it over so it will be scrambled eggs. I know not everyone liked runny eggs. 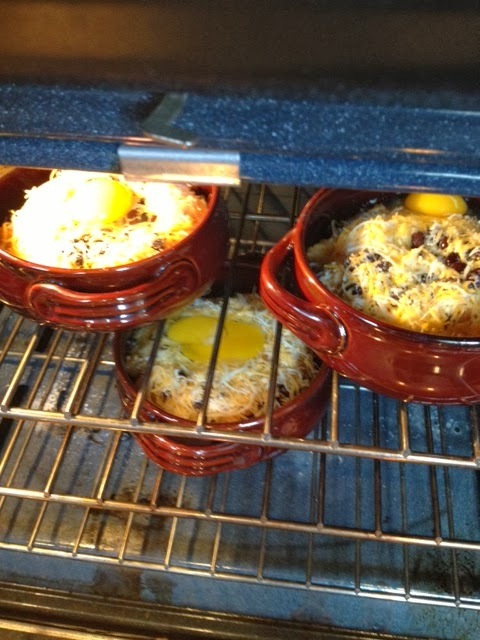 Bake at 325 degrees until cheese is melted and egg is cooked to your preference - about 20 minutes. Doesn't that just look delicious? I was uber impatient and kept peeking every few minutes. I am going to make a valiant effort to work on this over the next year. Slow down, breathe, wait calmly, stop bouncing around. This egg was not properly placed in a nest so it slid over. C+ for presentation. We decided to top our totchos with salsa and guacamole. 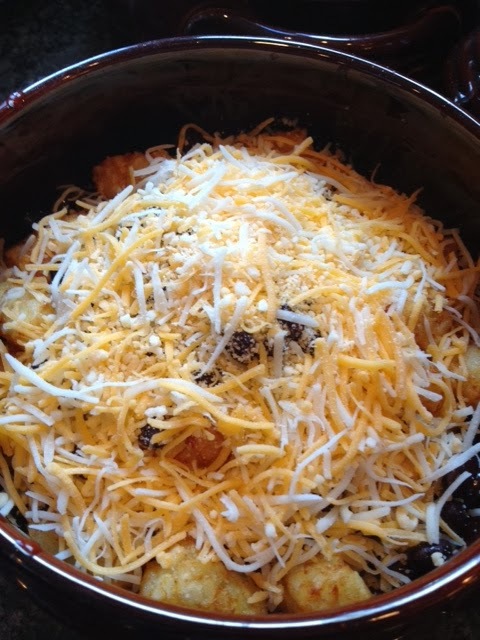 I could also have used a dab of sour cream to up the ante even more. And not to toot my own horn, but it was a pretty delicious dish. Ok, fine. Toot, toot! Toot toot! These were so fantastic. I can't wait to make/eat them again! 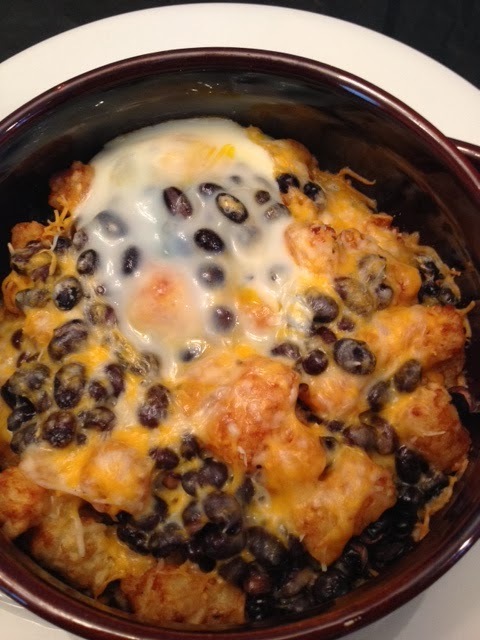 These are like Pavlov's Totchos. I just salivated. It's funny how something so incredibly simple can taste so fantastic.